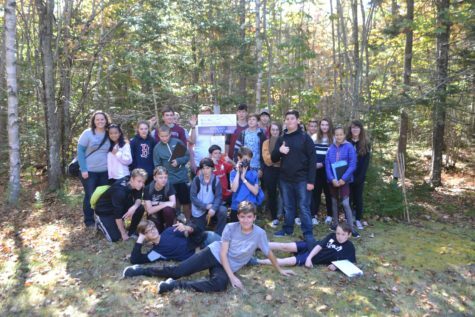 Fall of 2017, we had the pleasure of working with Nell Hermann and Kat Hudson and the 8th graders at Blue Hill Consolidated School on a Bagaduce Watershed Place Study. 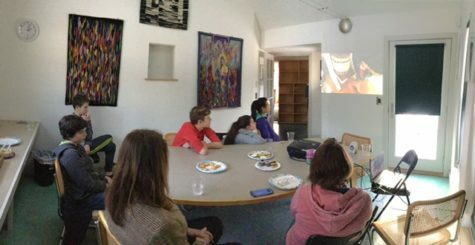 During the study we did classroom presentations on conserved lands in the watershed, as well as important work being done by community groups to protect and restore the health of the watershed. 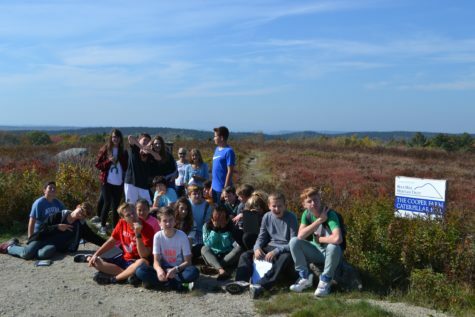 We also visited three distinct BHHT properties within the watershed, to allow the students an opportunity to see up close and personal how vast a watershed can be. 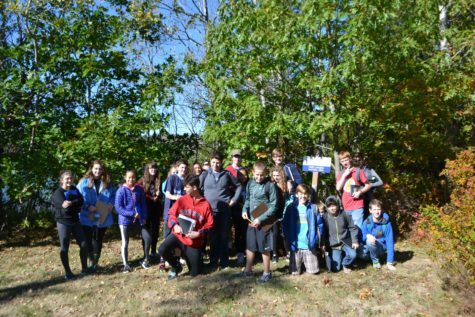 The final product of this program was a newsletter that each student produced about the watershed and properties they visited: Ferry Landing in Brooksville, Cooper Farm on Caterpillar Hill in Sedgwick, and Weinland Nature Study Area in Penobscot. The top 5 were selected based on Style/Accuracy/Grammar and Spelling/Overall Feel. 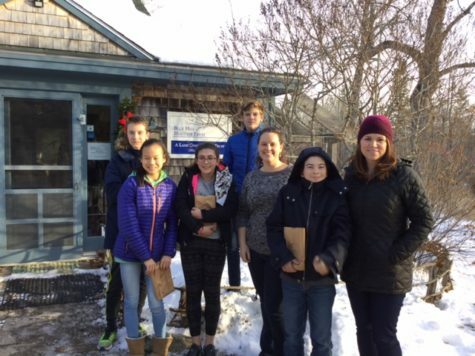 These 5 winners, accompanied by principal Shelly Schildroth, were invited to a special afternoon at the trust to have a pizza party and watch a new documentary on land trusts in Maine. Below are the top 5 newsletters. We hope you enjoy reading them, and learn a little more about the Bagaduce Watershed. Our thanks to Molly, Colby, Renee, Clark and Gabe for a job well done and for providing us with these great newsletters!